Ideal for working in confined spaces with rounded nose to hold more mortar. Soft grip handle and steel ferrule. 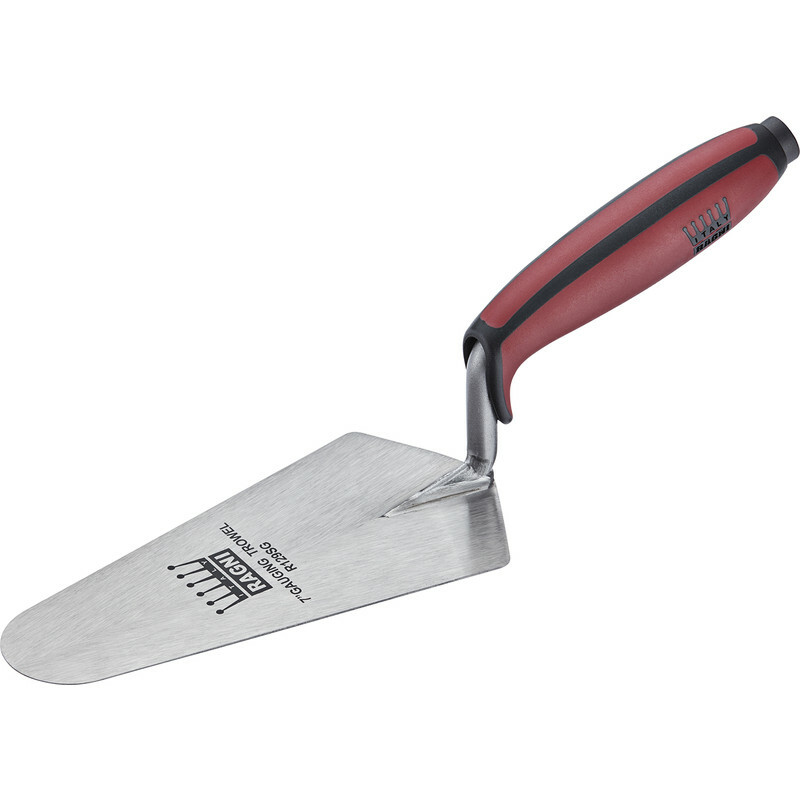 Ragni Gauging Trowel 7" is rated 4.7 out of 5 by 3. Rated 5 out of 5 by perth from Best in the business. Top marks, just as I expected. Rated 4 out of 5 by JGR1 from Rough Good trowel but rough finished edges, no problem for mortar but I needed smooth edges for use with carpet. Don't ask. Rated 5 out of 5 by JACB from Good tool, good value Good quality with comfortable handle and cheaper than Wickes!